My greatest joy as a sommelier, winemaker, author, and collector, has been sharing the wines that excite me. But, it’s not just the wine itself that fascinates me – it’s also the process of how the wine was created. Every important wine has a strong sense of will behind it, and every serious winery shares a desire to find a deeper knowledge of their vineyards; to discover the beauty that lies within the balance between the grape, soil and microclimate. In my regular travels to the best wine regions of the world, I have also included forays into less well-known appellations. Tasting at both pedigreed domaines and modest cellars, has led me to appreciate, equally, wines meant for the well-heeled cellar as well as wines best drunk early and appreciated for their immediacy. I have discovered that what is consistent in all the wines I admire is the importance of minimal intervention: growing healthy, balanced grapes without the use of chemicals and making and bottling wines without manipulation. My work in California and Oregon has revealed to me, that here in my own backyard, we can produce wines that hold true to this philosophy with perhaps greater ease and success than anywhere else in the world. Last year I reached out to my friends and colleagues and managed to acquire grapes from some truly amazing vineyards. My goal is to produce wines that honor the tradition of their origins yet embrace the amazing terroirs we have in California and Oregon. With these wines, and those of Domaine de la Côte, Sandhi and Evening Land, my hope is to create a community that celebrates the diversity of wines styles, grape varieties, microclimates and soils we have here on the West Coast of the United States. The process of understanding what makes a wine compelling has rewarded me with amazing experiences and great friendships. This wine club is a way for me to share my knowledge and vision of wine from grape to bottle. I look forward to hearing from you and welcoming you to the Raj Parr Wine Club. "My journey in wine has been a life-defining adventure." The Raj Parr Wine Club is a traditional subscription-based wine club with Members receiving 2 annual shipments (Fall and Spring) of wine in 6 or 12 bottle increments. These wines are made in extremely limited quantities from vineyard sources that are very special and dear to me and will always include our very best cuvées. Raj Parr Wine Club Members will also receive complimentary shipping on all domestic orders, and first access to a separate monthly offering of less serious daily-drinking wines further explained in the "Another Way To Participate" Section. As a bonus for members who choose to sign up for the 12 Bottle Club, you will also be the first people to receive invitations to special wine experiences, dinners and tastings curated and led by me. I will also share my private contact information to our 12 Bottle Members, who I encourage to email and text me with questions about new wines, purchasing vintage wines, drinking windows for classic wines, and my favorite restaurants and wine bars throughout the world. To sign up for the Raj Parr Wine Club, please select the club level below, fill out the form and my assistant, Julia, will follow up to secure your Membership spot by obtaining your credit card information and fees for the Fall 2018 Shipment. The Raj Parr Wine Club Membership is currently fully subscribed. To be added to the Wait List, please email Renee here with your interest. In addition to my subscription-based wine club above, I will be offering a separate set of easy-drinking wines (vins de soif) on a first-come, first-serve basis. As many of you know, I use social media to share my travels and food and wine experiences, and Instagram has been an amazing tool to connect with people who share my curiosity and passion. Every month, I will offer different wines than the Raj Parr Wine Club subscription from my @rajparrwineclub Instagram account. These wines are fresh, fun, affordable and highly drinkable. I refer to them as Glug-Glug wines, as in the sound of a bottle being emptied quickly. Anyone will be able to purchase these wines from the Raj Parr Wine Club website after I post an offer from @rajparrwineclub. However, if you set up an account with us, you can simply comment on the post with, “Hey Raj, please send me X # of bottles” to make purchasing as easy and simple as possible! From there your order will be processed and shipped. 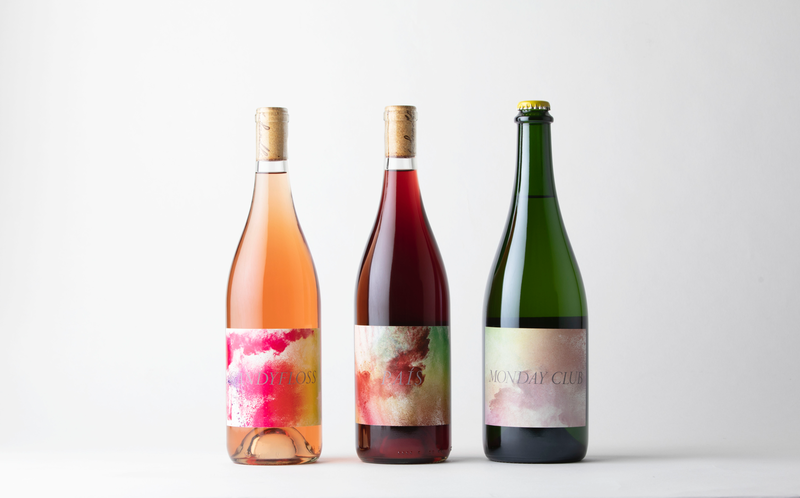 There is no obligation to buy but if you want to set-up an account to buy these wines please email renee@sandhiwines.com so she can collect your Shipping Address and Credit Card information. In addition to these offers from @rajparrwineclub, my hope is that a community of wine lovers develops around the @rajparrwineclub handle where I can share all my experience, knowledge and thoughts about global wine and food to anyone interested. I will also share my latest wine discoveries and encourage all of you to follow me to help build a community of wine lovers who appreciate the diverse selection of wines available to us. There has never been a better time to be a consumer of wines and I cannot wait to #getgluggy with you! "This cycle of enjoyment and inspiration with wine never ceases within me." Here is a small sampling of the wines already coming for the Raj Parr Wine Club and for the Glug-Glug offerings. 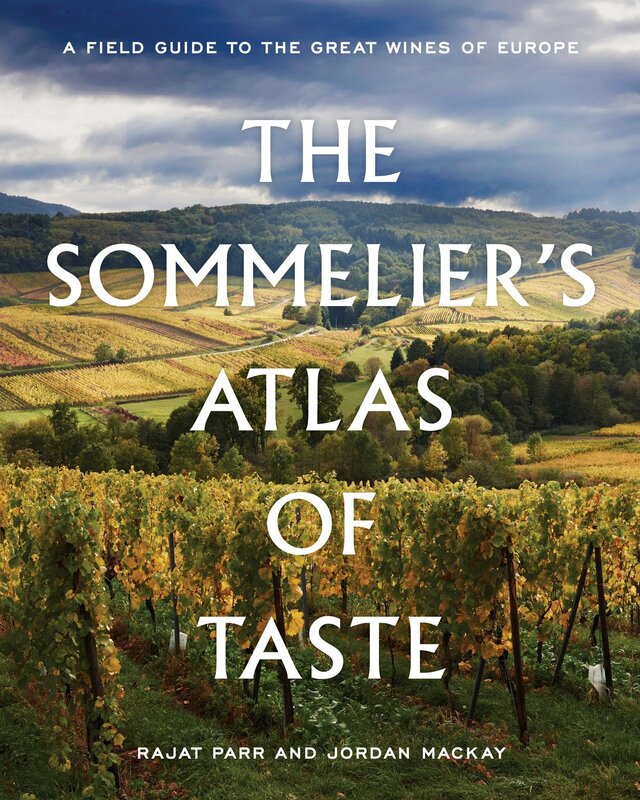 The Sommelier’s Atlas of Taste, A Field Guide to the Great Wines of Europe, is Raj Parr’s second book and represents a detailed look at the most classic wines and wines regions of Europe. Through his 27 years of experience as a Sommelier, Wine Director, Consumer and Educator, Raj draws upon his vast relationships to see the most exciting producers and growers in France, Italy, Spain, Germany and Austria. True to Raj’s legendary status, knowledge and inspiration, there is a heavy emphasis on France. Written with Jordan Mackay, who is also a prolific Food and Wine journalist and now his second collaboration with Raj after The Secrets of the Sommeliers, this book takes you on a journey of discovery about the great vineyards, soils, production techniques, and most satisfyingly, provides an inner sanctum look at the personalities and culture behind these historic properties and wines. Whether you have a budding interest in wine or are an avid collector and connoisseur of it, you will find great joy in getting a front row seat, through the eyes of two significant wine experts, to the classic wine regions of Europe. Very excited to announce that The Sommelier’s Atlas of Taste will be hitting the road from October 23rd through November 25th, for a month long celebration of book signings, tastings, and various wine-focused events. From coastal California, to Scandinavia, and handful of places in between, join Raj in debuting the release of his latest collaboration with Jordan Mackay, highlighting the world’s greatest vineyards, production techniques, and masterminds behind the bottles that Raj has personally become so fond of over the years. Check out the complete guide of book tour stops below. November 13 - Washington D.C. 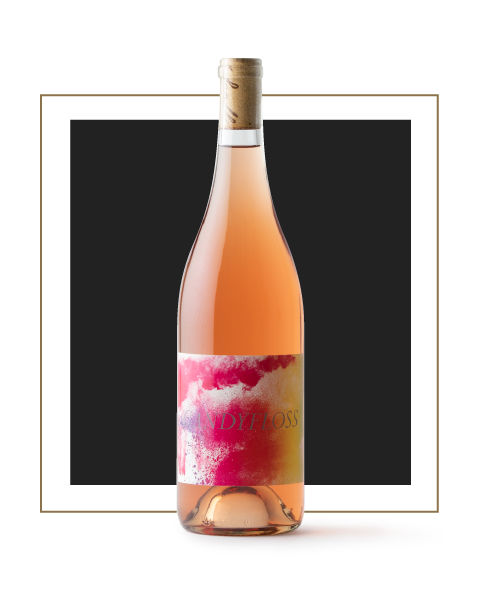 CHECK OUT THIS MONTH'S WINE!